Stuck trying to track down highly profitable niches, or those designs that burn out the buy button? You're certainly not alone. The combination of creativity and research required can be tough on t-shirt entrepreneurs of all calibers. Even industry veterans can get held up and this crucial stage. The magnitude of these decisions only makes it harder. After all, your niche sets the potential for business growth, then designs directly impact selling power. Neither niches or designs are born equal. Building a successful online t-shirt business will require both, a profitable niche and designs that sell like hot cakes. Even if you truly excel in later aspects such as marketing and branding, without a quality niche and winning designs, it's not going anywhere. With a greater understanding of these fundamentals, both niche and design hunting will become a systematic process. Let’s start with profitable niches. What Makes a Profitable Niche? No matter which industry you examine, those fuelled by passion are by far the most profitable. When it comes to the online t-shirt industry, tapping into your audience’s sense of pride is the fastest way to win their custom. It's worth remembering that all niches provide different levels of passion from their audiences. Ideally, you want to find an audience rich with individuals who would proudly boast your t-shirt to friends, family, and the rest of the world! Most sales in this industry are strongly driven by emotions, accept this and you will already be ahead of the game. It’s not always about the most creative design, it’s the strength of the positive EMOTION created. Specifically, how they are going to feel wearing your t-shirts. In later stages, creating designs that can trigger your audience will drive home your success. So, if your niche is at all lacking in passion or pride, it’s almost certainly not going to be the most profitable venture! But How Do I Know If My Niche Has Enough Passion? Larger audiences are a strong indicator of a passionate crowd, it’s often a great motivator growing such large communities. However, size alone does not guarantee passion nor profitability. The amount of money being generated in the niche is a more reliable indicator. Where vast sums of money are spent and generated, you can be certain it's largely fueled by passion. Moreover, this definitely signifies profitability! Begin your search by brainstorming niche ideas. Here are a number of broad categories to get you started and then you can narrow down into sub niches. You may also consider the strong sense of belonging to teams, events or festivals. Or those who simply want to stand out from the crowd, turn heads and create a buzz. Look for niches with the most passionate audiences, you’ll also find the potential for great profits! While starting a t-shirt business targeting a small niche may come with less competition, it also lacks the ability to grow. Going too narrow with your niche selection may leave you feeling starved and unable to grow. By choosing a niche with large audiences multiples your selling potential, generating steady streams of revenue. Also, this still leaves you room to break the niche down into smaller sectors, targeting them more effectively through specific designs. 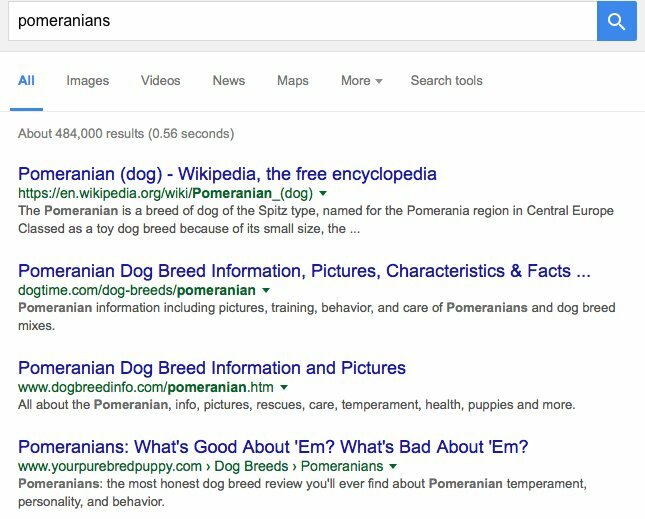 For example, Pets has a Facebook audience of 500M but it's far too broad. After narrowing it down to Dogs it's still around 300M. You may choose target later designs by breed, or focus different emotions such humor and pride. Even Pugs has a potential an audience of 500K! Larger niches are lucrative. But remember, it’s not all about size, if the passion or pride isn’t there it’s going to be a hard sell! But How Do I Know if my Niche is Big Enough? There're many ways to estimate the audience size of a niche. But one of the easiest ways to gauge an audience size is using Facebook. 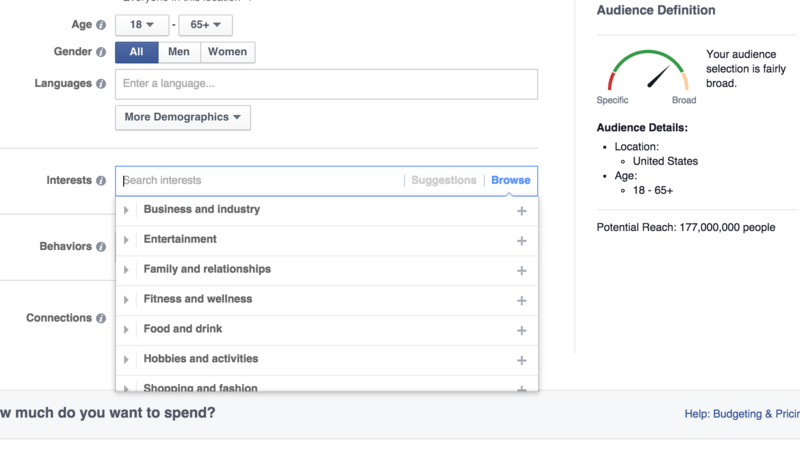 If you’ve already worked with Facebook Adverts, you may be familiar with their Audience Insights Tool. The easiest way is to use Facebook Advert’s Audience Insights Tool. Create a new audience and target your niche or interest so the tool can estimate the size of the Facebook audience. If there are more than 100,000 users in your Facebook audience it’s fair to say it’s pretty big! This tool also has further when it comes to marketing and advertising, such as demographic information on your audience. This enables you to tailor designs, maximize appeal and optimize advertising campaigns. Don’t go too wild chasing the numbers. Audience size alone does not always equal profitability. There must be passion and other factors that still need to be considered. Look for niches with big audiences, having more potential customers to market to will reinforce business scalability. Even when all other factors point towards a surprisingly untapped niche, don’t forget about monetization. If the majority of your audience is not active online or not confident with technology, it’s dead in the water. Similarly, if they don’t have access to PayPal accounts, credit cards or expendable income, it’s not a niche you should pursue. As an example, marketing directly to children would be very difficult. The majority of your audience may be too young to even access the online payment systems, instead having to persuade their parents first. 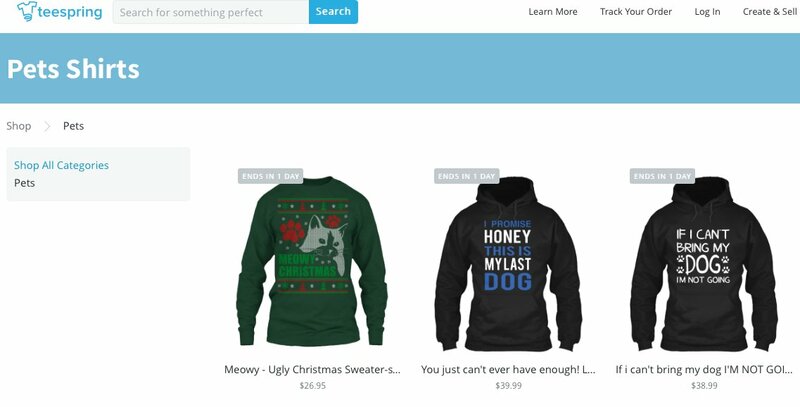 Take a quick sanity test, will your audience be able to easily find and buy your t-shirts? In order to be profitable, your niche must have an audience that’s easily identifiable for targeting. Not only is this essential for advertising campaigns, but your designs and even keywords on your website should be optimized to suit. Facebook’s Audience Insights comes to the rescue again. Simply navigate through the targeting options and interests and look for your niche. If you can’t find a close match, it signifies a difficult to target niche, especially through Facebook advertising. Building a business upon difficult to target niches makes it difficult to optimize designs or adverting campaigns. Where Can You Find These Super Profitable Niches? FB ads and FB audiences offer a swift way to research interests and uncover niches. Search for large audiences or followings. Use the Facebook Graph Search to locate fan pages related to your niche. If there's a mountain of likes, followers and engagement, you're on the right track. It also signifies fertile grounds for setting up your own group for marketing purposes. The Image based networks, Instagram and Pinterest, are hives of passionate social activity. Try searching using hashtags, search for popular ones relating to your niche. If you discover furious pinning and liking, it’s likely there are grounds for a profitable niche. Amazon and eBay can also be a great way to find potential markets. If your niche is catered to here, it’s big enough to consider. Look at the Amazon's best-sellers, if others are making a lot of money in your niche, it’s likely you could too! Try simply Google searching your ideas and seeing which ones gain the most traction. Look for highly active online forums relating to your niche, it’s a strong indicator of passion and future marketing opportunities. Google Trends is very useful for discovering trending subjects and growing popularity. You might just spot the next big craze emerging! So you’ve got yourself a profitable niche, now you need attractive designs that drive sales. But even with your golden niche in the bag, making designs solely on your own creative energy does not guarantee success. Pinterest can be a goldmine for creative design. 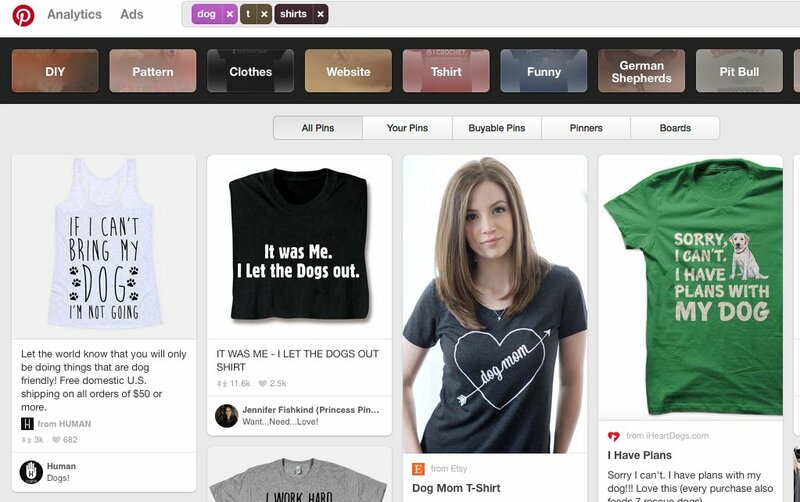 In between the furious pinning, repinning and liking you can discover popular designs from a variety of sellers and platforms. It's also great for exploring through to related photos and discovering more designs. While it's great for getting a wide angle on the market, the main drawback of this method is the lack of sales or campaign data. Luckily you can use our free/cheap tool called Sorting Social that allows you to quickly see the most repinned items for any Pinterest search, board or account. Sorting Social also has a giant free list of proven print on demand niches built right in. The next method to try is head straight onto the individual t-shirt selling markets. Many of them allow you to browse through bestsellers or categories, but not all reveal their exact sales figures. The buzz of likes, shares, comments and social engagement is a good indication of design popularity. Grab direct campaign links and input them into free tools such as How Many Shares, to see the popularity of each design on Facebook. 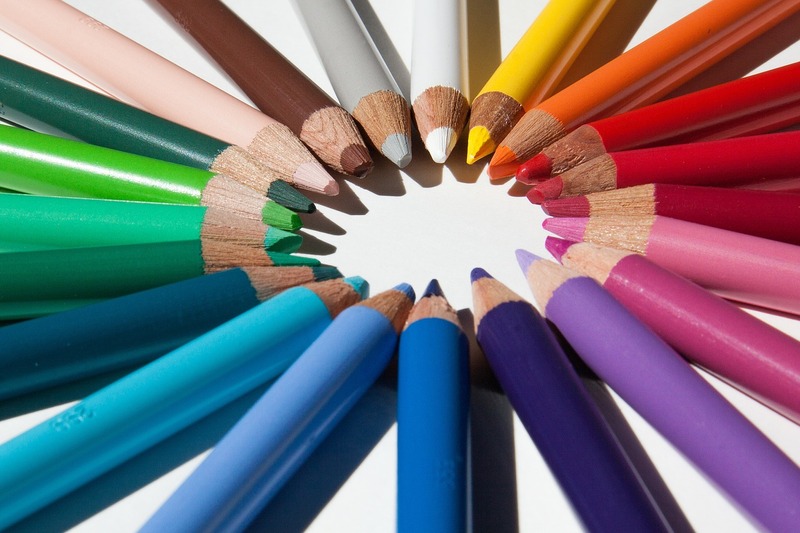 While time-consuming, these methods are mighty effective for uncovering best selling designs. Then all you've got to do is come up with your own twist! For t-shirt entrepreneurs wishing to make the most of their time, TeeGrasp offers an efficient method for searching and comparing the best selling campaigns, along with all the vital sales data too. Remember, time is money. The sooner you pinpoint a profitable niche and develop popular designs, the faster you can grow your online t-shirt business. Best of luck!